Mandatory drug testing- drug testing for any student athlete before participation in a sporting event at random intervals. Extracurricular activities: school-sponsored sporting events. Then say: Testing may be costly, but it is justified as a necessary to ensure a sage, drug-free learning environment. Besides, it is no waste of money because the amount spent still goes to a useful cause. Also, if the policy is implemented, the number of drug users will go down so the amount of drug tests will lower and the cost will decrease. Then say: A study conducted by the National Center for Education Evaluation within IES and RMC Research Corporation and Mathematical Policy Research has already proved that there is no decrease in participation at all therefore proving this point untrue and invalid. Drug use has become a huge issue in schools and a basic easy way to try to stop it is to have drug tests to participate in the extracurricular parts of school. Students involved in extracurricular activities and subject to in-school drug testing reported less substance use than comparable students in high schools without drug testing, according to a new evaluation released today by the Institute of Education Sciences. Some 16 percent of students subject to drug testing reported using substances covered by their district's testing in the past 30 days, compared with 22 percent of comparable students in schools without the program. Similar patterns were observed for other measures of student-reported substance use, but those differences were not statistically significant. There was no evidence that the drug testing reduced students' participation in extracurricular activities or affected their connection to school. Researchers also examined whether students in schools with drug testing , perhaps because they were more aware of the consequences of substance use, might be underreporting such use. However, there were no differences between the treatment and control groups in students' reports of how honest they were in completing the surveys or in how often students didn't respond to particular questions. Also, there were no inconsistencies in reports of lifetime use between the surveys they completed before knowing whether their school required drug testing and afterwards. The study was directed by the National Center for Education Evaluation within IES and conducted by RMC Research Corporation and Mathematical Policy Research. Mandatory drug testing helps create a safer atmosphere for students in high schools. Drugs are a major problem and once a single person becomes a user, peer pressure increases and more and more students fall into the trap. This creates an unsafe environment and clearly drug testing can solve this issue. 3. The drug testing policy will result in a lowered amount of steroid use in high schools. Steroid use has created an unfair sports program in many districts. This drug testing program completely insures that no steroid user will be allowed to participate in the sports creating a completely fair and equal system for all students. Because drug users will not be able to participate in extracurricular activities, steroid users will not either. Therefore, as stated by Psychology Today, sports programs will become more fair and equal for all students. If the drug testing policy is made mandatory, the high school students, the beginning of the next generation will be able to impact generations after, showing the negatives of drug usage and ending drug promotion. According to Matt Johnson of Time Magazine in 2009, Memphis, Tennessee supported a drug testing study and from the original 23,000 participants in the program, after only two months, the number of users decreased by 6,000 people. Memphis also recorded 52% less recorded drug use in Memphis after the 2 month period. 5. By creating this policy, we can attempt to stop the drug use now. As we wait and let drug use slide, more and more children are beginning to use drugs like marijuana and getting addicted and more and more trouble is caused because of drug use. This policy can start stopping all the drug use. We can not wait any longer to take action and this policy is the place to start because it targets the future. 6. The drug testing policy creates an incentive to discontinue malpractice of harmful substances. In future generations, the drug testing method, through abolishing drug use, helps inspire action against drug and alcohol use to create a better future. Psychology Today states, that this policy “generates mentality of disapproval of drugs amongst the children". 1. If they say: "The Supreme Court rules that drug testing is legal"
Then say: Well, just because the Supreme Court says its legal doesn't necessarily make it the right choice. The Supreme Court decides whether something is legal or not, not whether or not it will fix our drug problem in America. 2. If they say: "It has a deterrent effect"
Then say: But people can cheat the system with blood cleaners, and the drugs wear off after a few hours after taking them, so people could easily evade the system. 1. 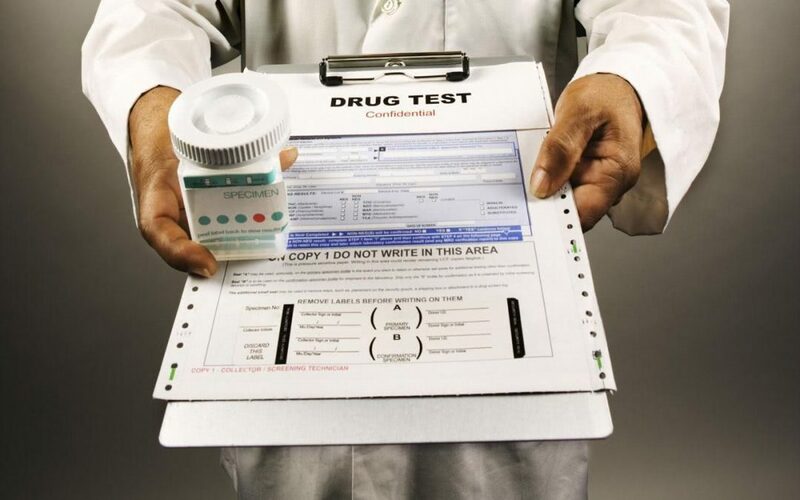 What is the accuracy rate of drug tests? 2. How do the tests work? 3. According to these drug tests, what percent of American teens do, in fact, take drugs? 1. Mandatory drug test for participation in extracurricular activities has been proven to do the opposite of lower drug usage. Studies and surveys have proved that drug tests constantly cause an increase in usage. 83 high school where observed in a study. 85% of the high school principals reported an increase in either drug usage or alcohol usage among their students after the drug testing program was stopped, compared to the 1999-00 school year (when they had a drug testing plan implemented). 80% reported an increase in illicit drug usage during the 2000-01 school year compared to the previous year. 59% reported an increase in alcohol usage during the 2000-01 school year compared to the previous year. information received directly from students. 79% said their answers were based on information from teachers and staff. 59% said information came from law enforcement. 23% said information came from formal surveys of students at the school. 78% of the principals reported that there was an increase (compared to the 1999-00 year) in the number of students who came forward and told them that drug and alcohol usage was on the rise since the drug-testing program was stopped. 2. Drug tests have many flaws making it a unreliable way to test for drug use. The tests currently used test a biological specimen, usually urine. However, certain drugs only stay in a person’s system for a few hours and there are many substances that can remove the drug remains from urine. According to the students at rural Rushville Consolidated High School, there are a dozen ways to pass a drug test. You can march down to the local video store and buy a packet of "Karma" urine-cleansing powder. You can toss salt in your urine sample or drop in a strand of hair coated with hairspray. More often than not, it's simply a matter of choosing the right kinds of drugs, say the teens -- Ecstasy and alcohol disappear from your system within hours; marijuana can take up to 30 days. The drug testing vans roll up to the Rushville campus every few weeks, and 25 students are randomly asked to produce a urine sample; yet hardly anybody is ever caught with drugs in their system. And it's not because they aren't doing drugs. "I'd guess 75 percent of my class has tried marijuana," senior Adam Sadler says, "A lot of kids do drugs at this school; though it kind of depends on who you are," one says. "The thing is to just make sure you pass the tests." For six years, Rushville Consolidated has required random drug tests from between 75 to 90 percent of its 900 or so students, including anyone who participates in extracurricular activities or plays sports. If they get caught with drugs, alcohol or tobacco in their systems, they are denied participation in these activities until they can prove they're clean. 3. There is little evidence that drug testing programs have had any measurable impact in the schools that use them. Even if in certain districts there is a decrease in drug use, the actual impact of the programs are negative when the result is compared to the cost of the program. Virtually speaking, this program has a goal that could be beneficial, but in reality, there is no substantial impact, no substantial decrease of drug use and in most districts using this program, the usage amount either remains the same or increases. 4. Mandatory drug testing is a clear violation of constitutional rights: laws of presumable innocence and laws that free individuals from unwarranted search and seizure. Students should not be forced to undergo drug testing to participate in sport or other activities. Students are claiming that this takes away their civil liberties and privacy all together. School administrators fear legal ramifications of even attempting to implement a random drug testing policy. The fact is its not fair, and completely unconstitutional. Such a policy should not a mandatory. The Supreme Court has ruled that drug testing is legal, but only if the student is under suspicion. Otherwise, it is a violation of his/her rights. 5. Mandatory drug testing is extremely costly and should not be mandatory compared to its fruitless results. Drug testing is extremely expensive and not affordable in the governments current position. There is already a huge amount of budget cuts on schools and if the government or the school has to pay for these drug tests, the budget for high schools to spend on educational matters will lower. A single standard drug test to detect marijuana, tobacco, cocaine, heroin, opiates, amphetamines, barbiturates, and tranquilizers can range from $14 to $30 per test, while a test for steroid costs $100 per test. This amount of money should not be spent for such a cause that has major negative or useless effects. 6. Drug testing for this cause creates the undesired effect of deterring participation in extracurricular activities as a result. Just because the point of the policy is to lower drug use doesn’t mean that there will be no negative effects, and one of them will be the lack of participation. The policy has been tested a multitude of times and one of them will be the lack of participation. The policy has been tested a multitude of times and has proven to lower participation rate in activities.